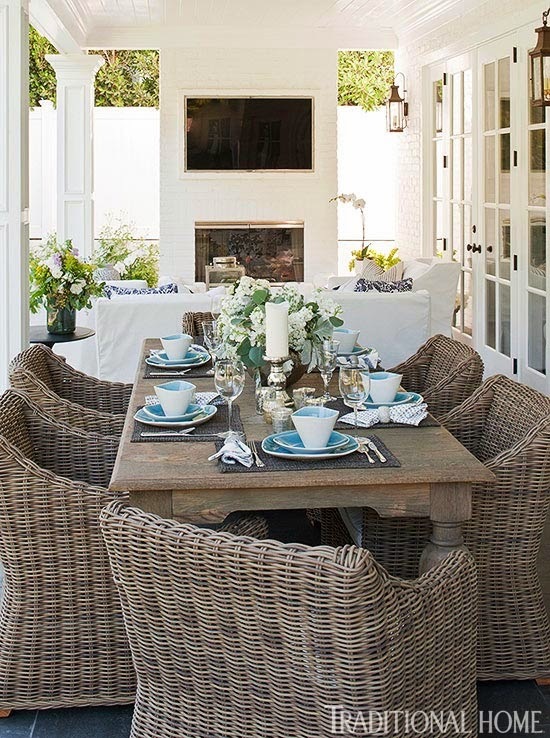 Giuliana And Bill Rancic's Amazing Home! 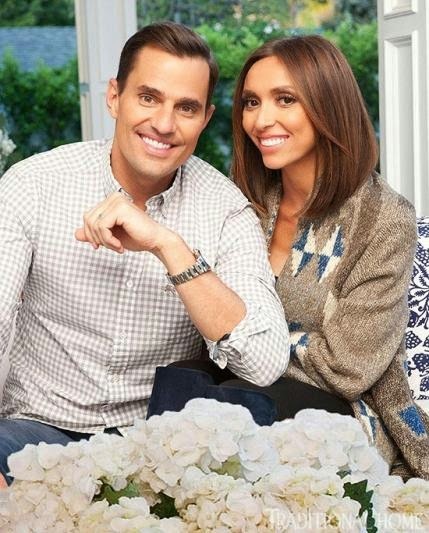 The Daily Nest: Giuliana And Bill Rancic's Amazing Home! 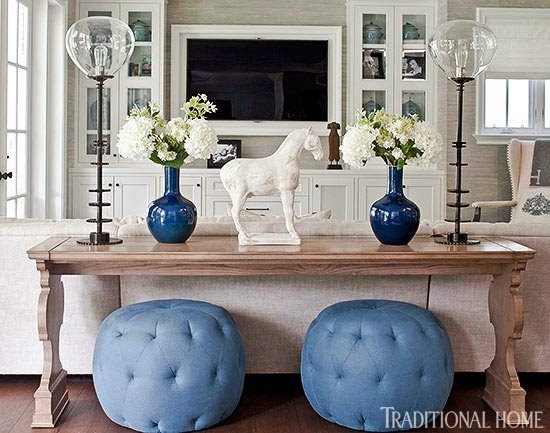 Giuliana And Bill Rancic's Amazing Home! If I've never mentioned this little tid- bit about myself, let me just tell you now...I love celebrities and celebrity news! I love to hear about their lives, their loves, their fashion, and mostly about their homes! I know call me shallow, I don't care! When I start talking about them, my oldest son always has to remind me that I don't REALLY know them! And I'm not personal friends with them! Hey I can dream that they're my friends right? And if I'm their friends then it would only seem right that I'm invited over to their fabulous houses to hang out! See how it works in my mind? 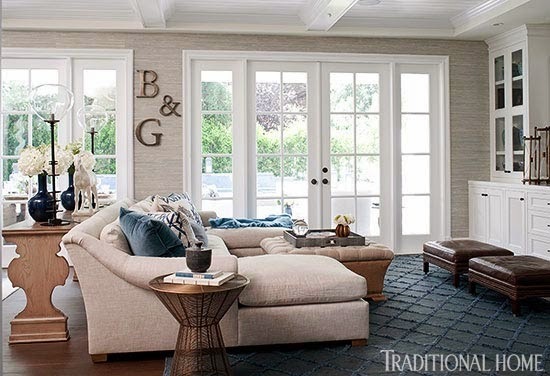 Now one celebrity couple's home that I'm obsessed with is Giuliana and Bill Rancic. She's an "E" News co-anchor and style critic on Fashion Police, and Bill is a past winner of Donald Trump's show "The Apprentice" and now developer and speaker. where they live with their 18 month old son, Duke. 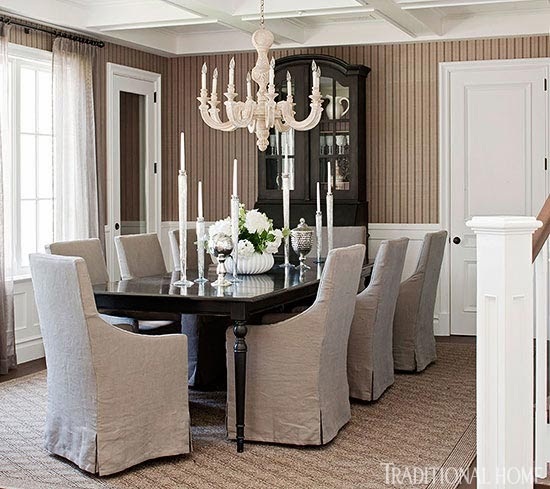 Working with interior designer, Lonni Paul they envisioned a home with a calming, serene palette. Are you liking the neutral color palette or do you enjoy more color? I think these glass lamps are spectacular and so unique looking on this hand carved sofa table from Hickory Chair. 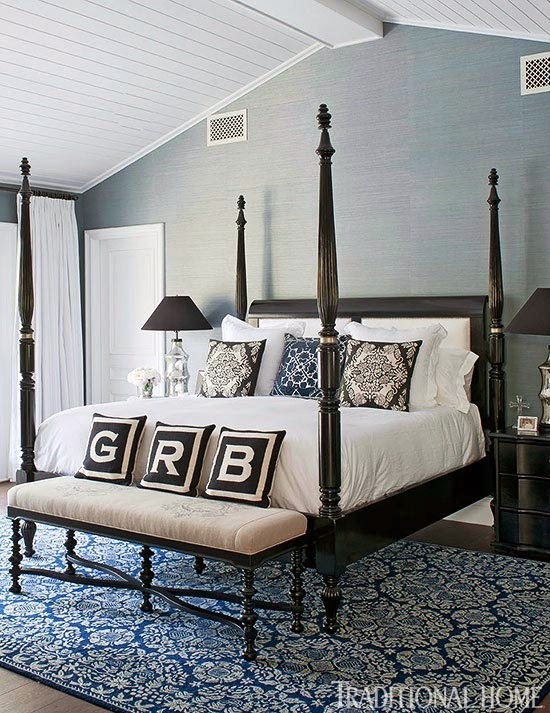 This room is decorated in a classic blue and white. I think I need some poufs too! And just know that if you get them...I will be jealous! 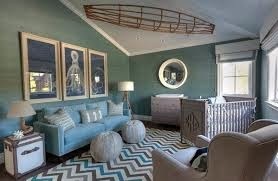 The nursery with it's blue grass cloth walls and water theme, keeps with their vision of calm and serene. 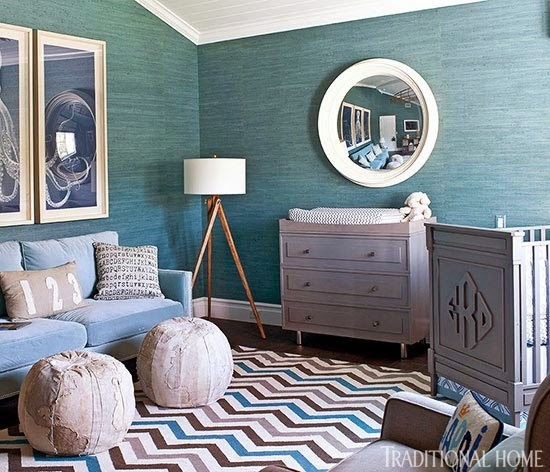 The striking chevron rug by Jonathan Adler adds a pop to the room! I also love that Duke's room is not so cute-sie! His initials are carved into the front of the custom crib that Lonni Paul designed for him. It really personalizes his room. All I can say here is, "Oh my!" I hope you enjoyed the home tour today, I wish I could say that it's as beautiful in person as in pictures. But only in my dreams!